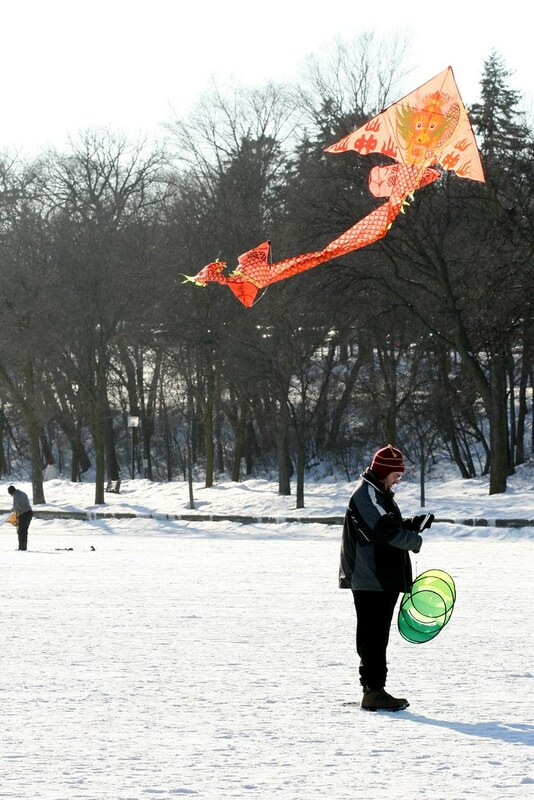 Minnesotans must find unique ways to entertain themselves over the long winters. Some are into snowmobiling, skiing, snowboarding, ice fishing. I prefer the more inexpensive yet creative options. 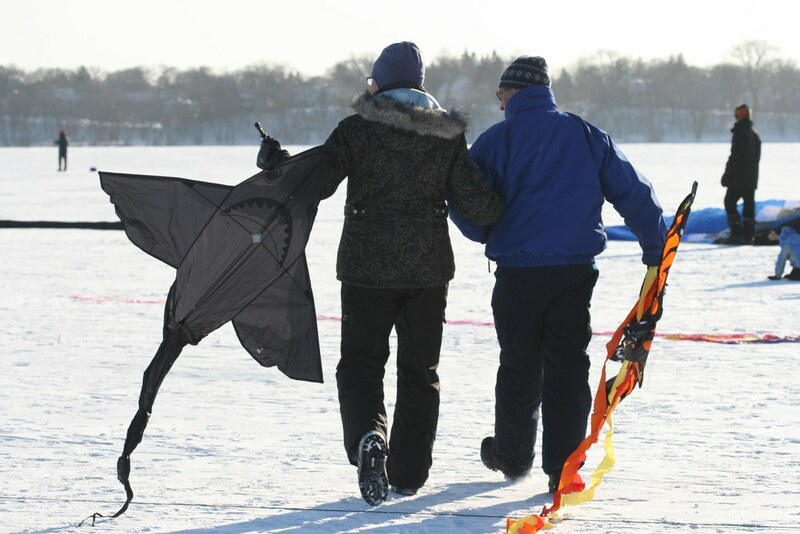 Yesterday we braved the sub-zero windchills, bundled up in snowpants, to toddle around on Lake Harriet for the 10th Annual Kite Festival. Sadly the winds had died down a bit by the time we arrived. 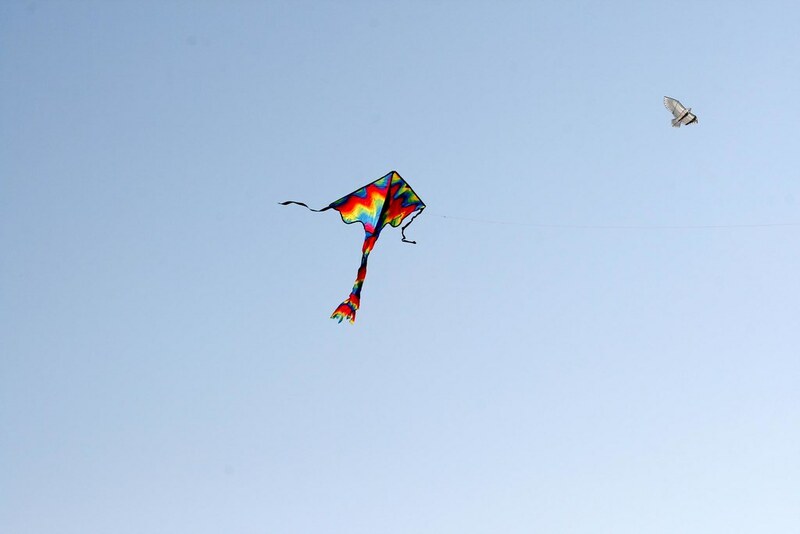 This was good for us, physically, but not so great for kite-flying. 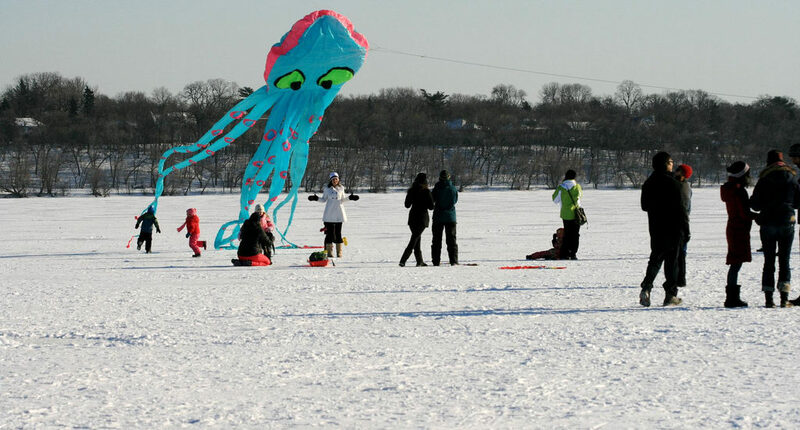 Especially for the larger ram-air inflated numbers like my favorite – the giant octopus kite. It remained grounded. 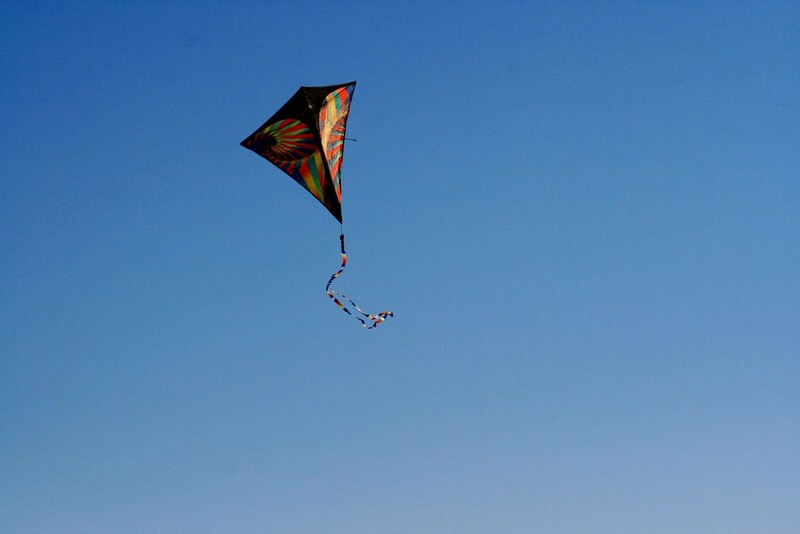 Still, the smaller ones soared and whirled against the bright blue sky. It was quite a sight to see so many of them in the same airspace. 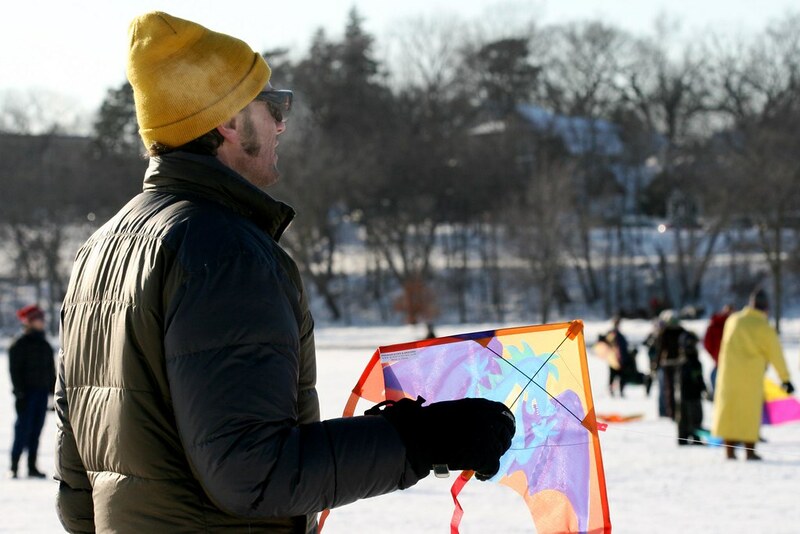 Sadly the Art Shanties are taking a break this year (but will hopefully come back bigger and better than ever in 2012) but this month will see the return of Powderhorn Park’s Annual Art Sled Rally. My son and I really got a kick out of it last year.